Jake's first film, IMMUNE was written and directed by Boman Modine. In the film, Jake plays Adam, the only survivor of the Zombie Apocalypse. Way before the Walking Dead was famous, he was on set filming this short. Boman's dad ... Matthew ... played one of the zombie's who tried to catch him. No worries ... Jake prevailed! Check out some fun photos from the shoot. Jake's second film features him as a young boy trying to bring together his perception of 'the perfect family'. Directed and written by Liz Park as a thesis project for NYFilm Academy. 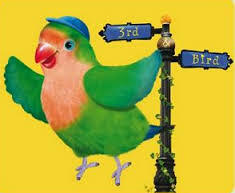 3rd & Bird on Disney Jr. 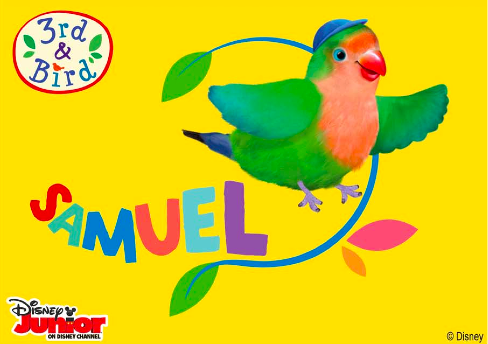 This animated series is aimed at pre-school children aged three to five and follows a community of birds who all live in the same beautiful old tree. Jake voices all 52 episodes of the US version of the show. Click to the right to hear Jake as Samuel Lovebird. Catch the show on Disney Jr.